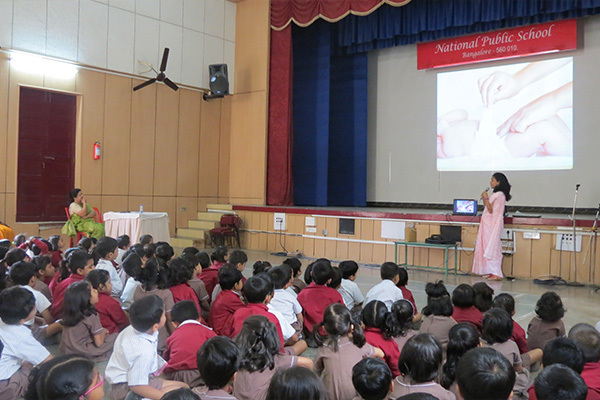 National Public School, Rajajinagar organised a guest lecture by Dr. Soumya Ramani on “Good touch and bad touch” for the students of Kindergarten and Grades 1 and 2 on 14th Feb 2018 in the school auditorium. 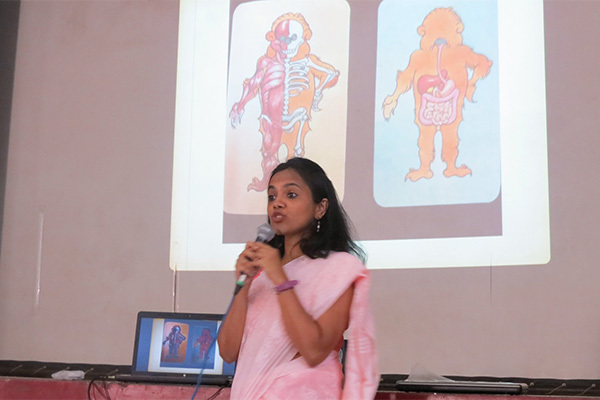 In her presentation, Dr. Soumya spoke about what and how a good touch is and she also brought in awareness about bad touch. 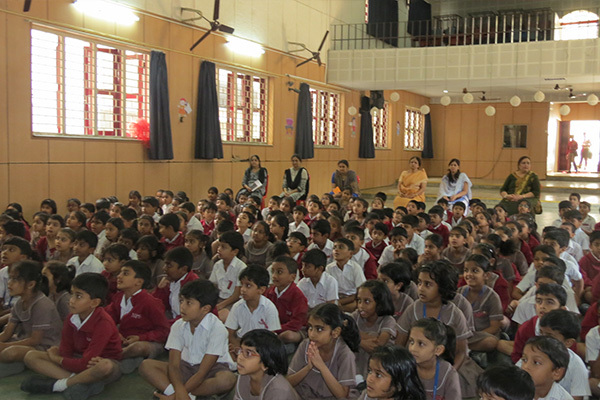 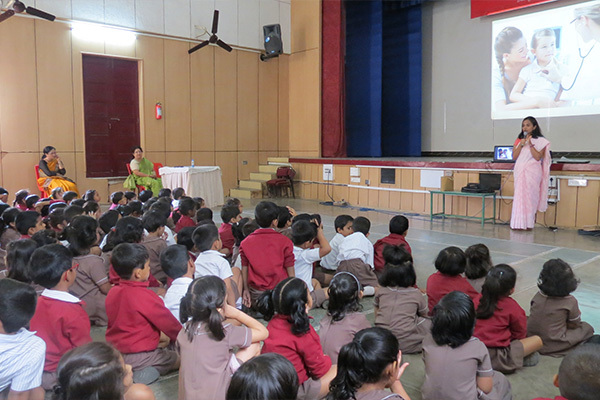 The speaker was able to put across the topic very well through a story using cartoon characters which sensitised the youngsters about various issues which make them emotionally strong.